Adorable color splash lollipops in red with small white swirl. Approx. 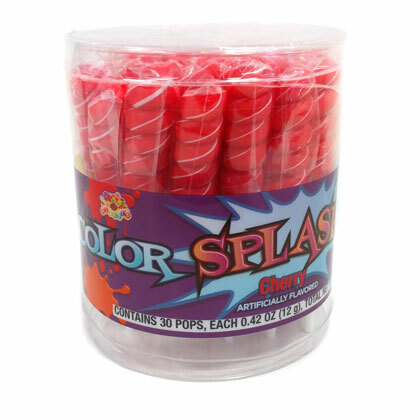 30 twist pops per container. Each pop approx. 4.5 inches tall. Artificially flavored. Actual color may vary.